I have some great news about my entries in SPPA's (Seattle Professional Photographers Association) February print competition. All four entries received merits, and two images received highest scores in their division! 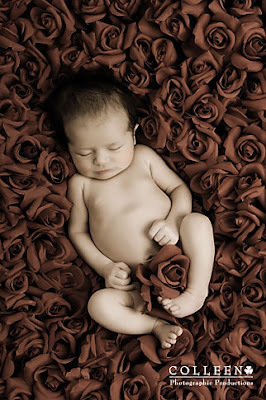 A portrait of a newborn baby, titled "Presenting Ethan", was awarded Best Child's Portrait. 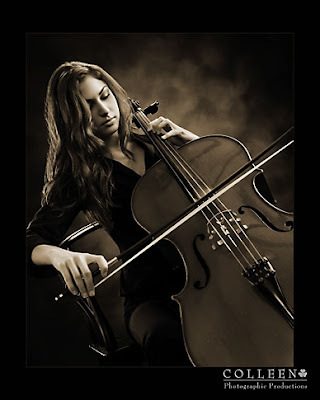 A portrait of a high school senior, titled "The Cellist", was awarded Best Portrait of a Woman. 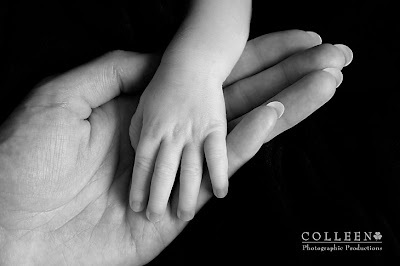 A portrait of a father and newborn baby, titled "Her Hero". 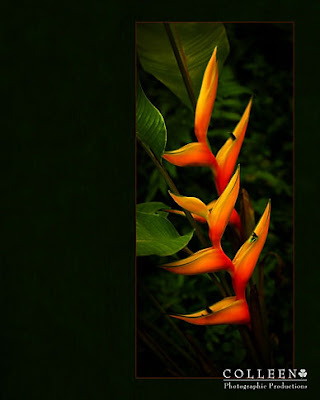 And just for fun, a pictorial of a blossom taken in Hawaii, titled "Bird of Paradise". Now for a bit more info about print competition. Why do we enter print competition? 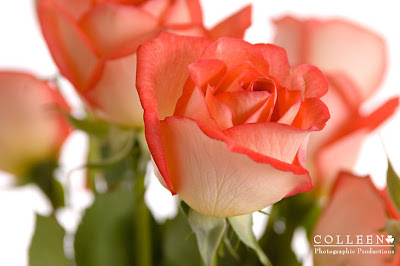 To increase skill in our craft, show dedication to our art, and earn merits towards professional organization degrees. How are prints judged? Images must receive a score of 76 points to receive a merit. Highest score in each category receives an additional two merits and a plaque. Entries must meet specific size and mounting requirements, and are judged on the following 12 elements, in order of importance: impact, creativity, technical excellence, composition, lighting, style, print presentation, center of interest, subject matter, color balance, technique, and story telling. More details on this can be found on PPA's (Professional Photographers of America) website. SPPA is an affiliate of PPA, and holds monthly print competitions, with a yearly competition adhering to PPA rules. 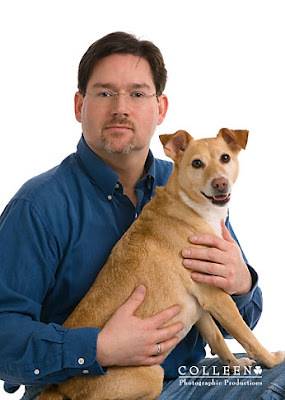 Chris called me last Saturday in urgent need of a business portrait for an ad for his appliance repair business. He had previously gone to a mall photo studio, but wasn't happy with what they provided. I was able to get him in that day, photograph, retouch and file prep, and he walked out the door an hour later a happy man with CD in hand. A mall shop may be cheaper, but can't provide the personal service and attention that you receive when working with a professional photographer. Thanks for stopping by Chris, it was fun photographing you and Emma. Some pictures taken by daddy with his cool little Iphone during their newborn session. Here's one of the images I was photographing at the time. Since Shaelyn was born close to Valentine's Day, I thought the bed of roses would be sweet, then I added a vintage look to this one. A portrait like this reaches it's full potential when displayed as a large wall portrait for maximum impact. I love capturing the intimate connection between parents and their new baby. I wanted to try a new pose using a sling, mom and dad were up for it, and baby slept nicely. I've updated my website with a new gallery of some of the many different custom design options available for your portraits. There are examples of special treatments such as Vintage Hand Tinted and Spot Color, plus lots of wall collages. The Tiny Treasures 8x16 is one of my popular collages that parents really love. Check out all the ideas in the Image Gallery.